Rowley, who joined Nine from Fairfax Media after the two companies merged, currently oversees sales for all Nine publishing assets, including nine.com.au and The Sydney Morning Herald. 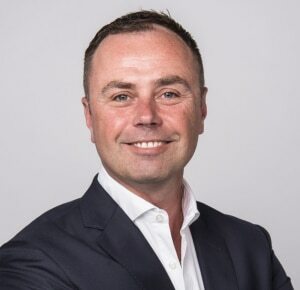 His appointment comes after King resigned from his position as News Corp MD for digital revenue in December 2018, which meant he’d also leave his position at IAB. Rowley said he joins the industry body at a critical time to help it deliver on its promise to grow sustainable and diverse investment in digital advertising. “I’m honoured to have the opportunity to lead the board and look forward to working closely with my fellow board members to support the advertising industry,” Rowley said. Rowley, who’s also previously worked at Publicis Groupe and GlaxoWellcome, has been the alternate director for Fairfax Media on the IAB board for the last two years. In 2018 he worked closely with IAB CEO Gai Le Roy on the Australian Digital Ad Practices with the Australian Association of National Advertisers and Media Federation of Australia. He also supported the development of IAB’s new charter, which was launched last year. Le Roy said Rowley’s experience in developing commercial models will benefit the role. “I look forward to working closely with him and continuing to roll out initiatives that will highlight the strengths of digital advertising,” Le Roy said. Nine director of sales Matt Rowley has been appointed IAB chair, replacing Cameron King who announced his departure last month.